If $79 doesn’t sound like a deal to you, give us a moment to change your mind. 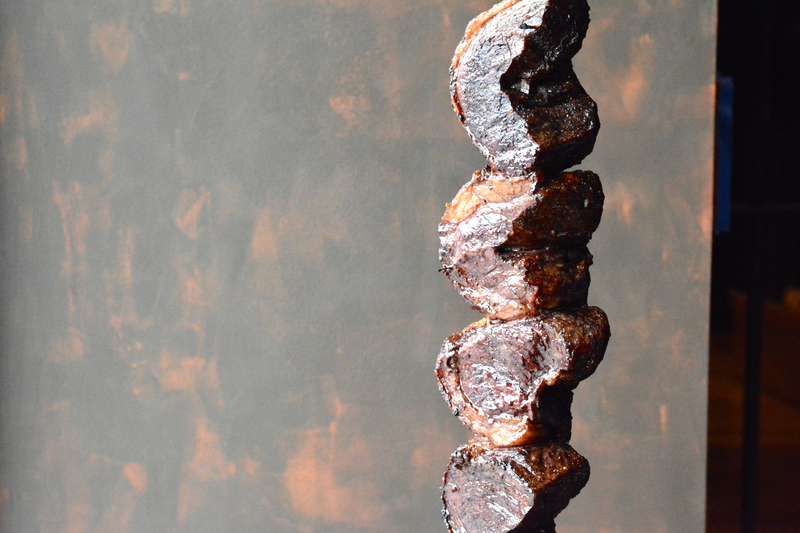 That’s how much the Rodizio Experience costs at Richard Sandoval’s latest iteration Toro Toro. By latest iteration, we mean they opened this week. We also dare to say it’s Sandoval’s best DC concept to date. The rodizio meats were all executed well, especially the chorizo, which tastes a bit like it made friends with a Kiełbasa. But, the Best Thing on the Menu is a small plate selection: Cachapas a.k.a. 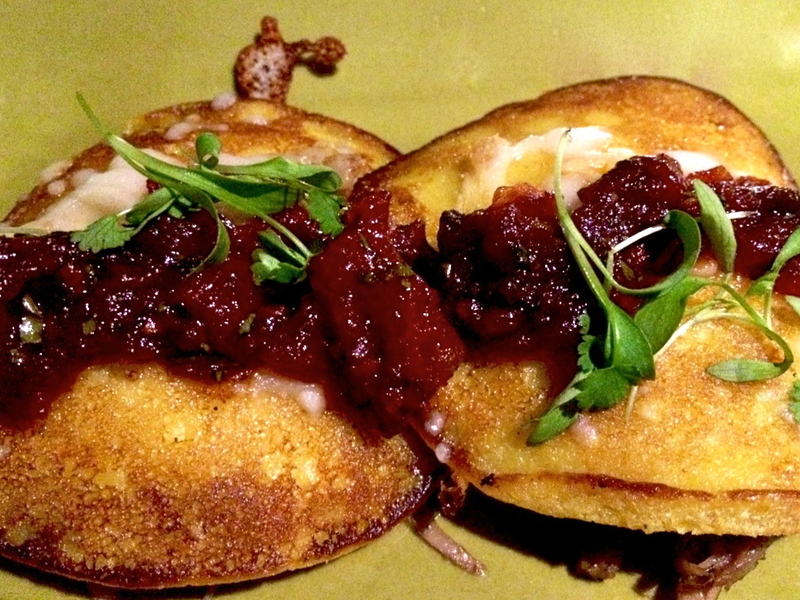 duck carnitas served under corn pancakes topped with oaxaca cheese and tomato jam. The good news is that you’ll be ordering this dish multiple times, so you’re likely to get the pronunciation down at some point. Wherever they eat this for breakfast, that’s where we want to move. Another top pick from the small plates section is the seared seafood ceviche. Prawns, calamari, and scallops swim in a milky ginger, sweet potato broth that gets some help from habanero peppers. If you want to experience Toro Toro with the vibe volume turned up to 10, check out the grand opening party featuring DJ Robbie Rivera from 10 PM to 3 AM on April 5th. Get your tickets here. Cachapas not your BTM? Share your favorites in the comments section. This entry was posted in Restaurants and tagged Cachapas, Ceviche, Duck Carnitas, Grilled Meat, McPhereson Square, nightlife, Richard Sandoval, Robbie Rivera, Rodizio, Small Plates, Steakhouse, Toro Toro, vibe. Bookmark the permalink. Loved the swordfish dip and the mushroom flatbread!